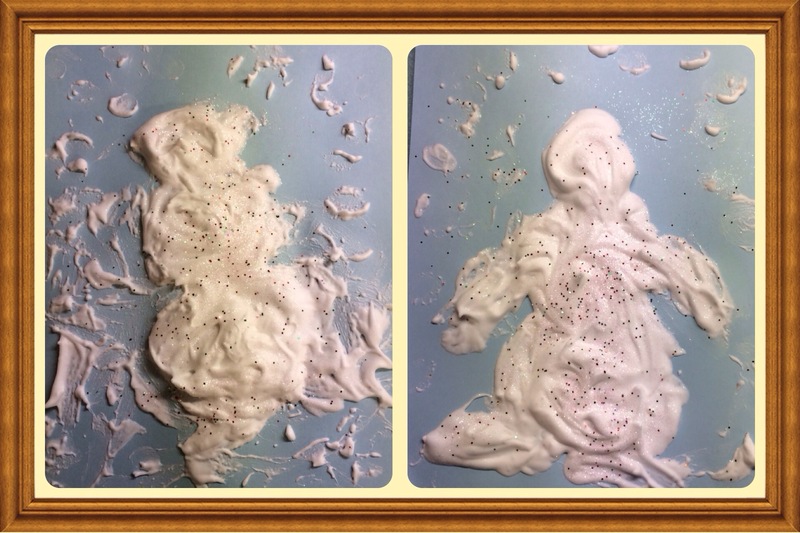 Winter Wonderland … Or shaving cream? Ok so I saw this post on Pinterest about making a puffy/foam paint by mixing shaving cream and Elmer’s glue so we gave it a try! We waited 24 hours to see what happened and it dried PUFFY! How awesome is that!?!? Pinterest WIN! Today we will decorate!! Click here for the original post I saw. 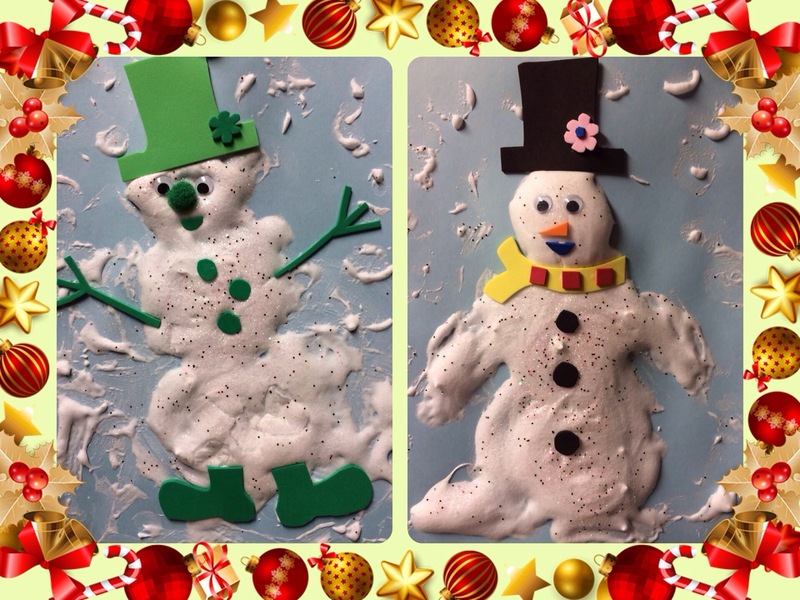 Update: Add some foam pieces picked by some creative little minds and here is the finished projects! !